The New Zealander lapped the Mountain Course at 128.64mph, with fellow Honda rider John McGuinness close behind at 128.59, then Ian Hutchinson on 128.30. Michael Dunlop was well down the timings at an average speed of 124.51. 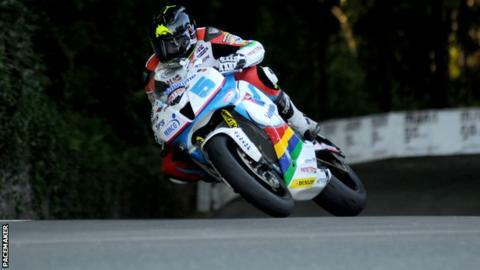 Anstey also topped the leaderboard in the Supersport class at 125.21, with Guy Martin on 123.08. David Johnson was best of the Superstocks with 125.18. On a night of favourable conditions, John Holden and Dan Sayle led the sidecar times with 112.78.